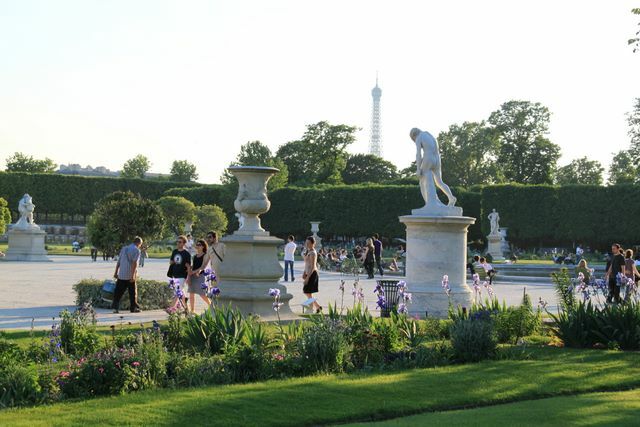 The Jardin des Tuileries is one of Paris's most visited gardens thanks to its central location between the Lovre and Place de la Concodre. As such the Tuileries are part of a grand central axis leading from the Louvre all the way to La Défense, the city's business district. In the early 16th century the area was a clay quarry for tiles (tuilerie in French, hence the name). After the death of her husband Henri II in 1559, Catherine de Médicis had a Palace built at the tuileries, the Palais de Tuileries. The palace featured a large garden in Italian style, reminding her of her native Tuscany. 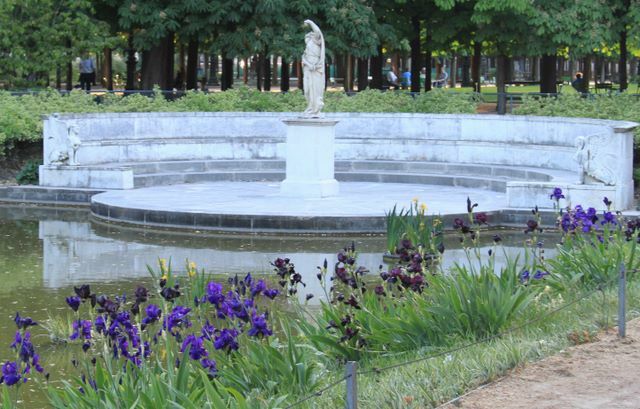 Between 1660 and 1664 the garden wasredesigned in French formal style by André Le Nôtre, the celebrated gardener of the Sun King, best known for his design of the gardens at the Versailles Palace. Le Nôtre built a terrace along the riverbank and opened up a central axis which he extended three years later with the creation of the Champs-Elysées. 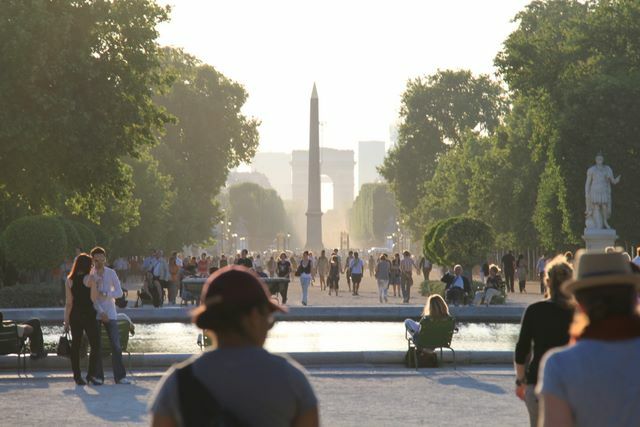 The Jardin des Tuileries was one of the first parks to open to the public and it quickly became a place to see and be seen. Even in the 18th century the park featured amenities such as cafes, kiosks, deck chairs and public toilets. The Palais des Tuileries, situated near the Arc du Carrousel, was razed in 1871 by the Communards, opening up the view from the Louvre to the Arc de Triomphe. 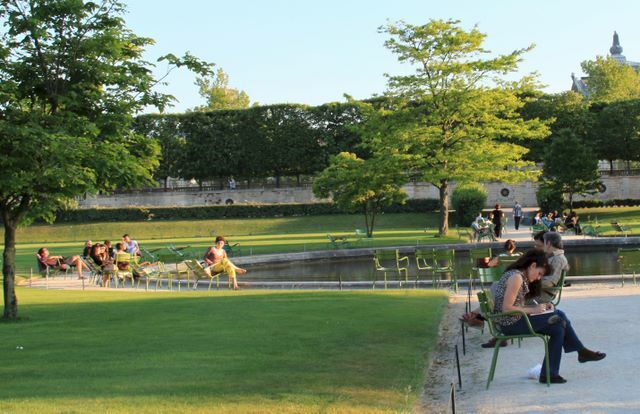 Most recently renovated in 1990, Le Nôtre's formal design of the Tuileries garden has been kept intact. At the same time the park was separated from car traffic. 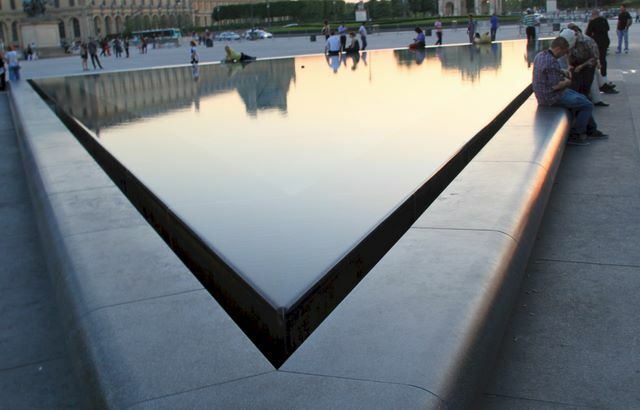 Many modern sculptures were added and in 1999 the Passerelle de Solférino (now the Passerelle Léopold-Sédar-Senghor), a footbridge across the Seine opened, linking the Tuileries with the Musée d'Orsay. 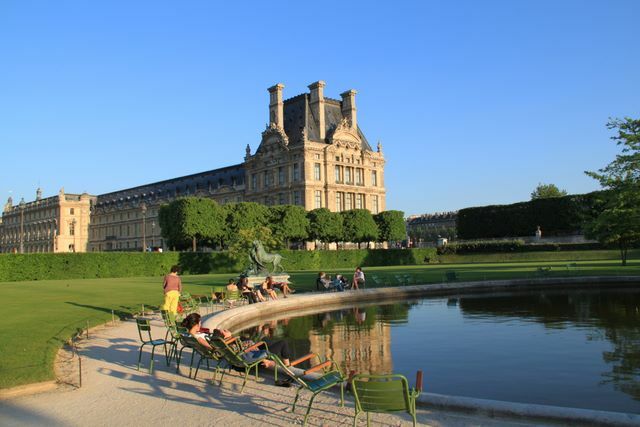 Like theJardin du Luxembourg, Jardin des Tuileries is one of those parks where you can grab a chair for free and sit wherever you like. 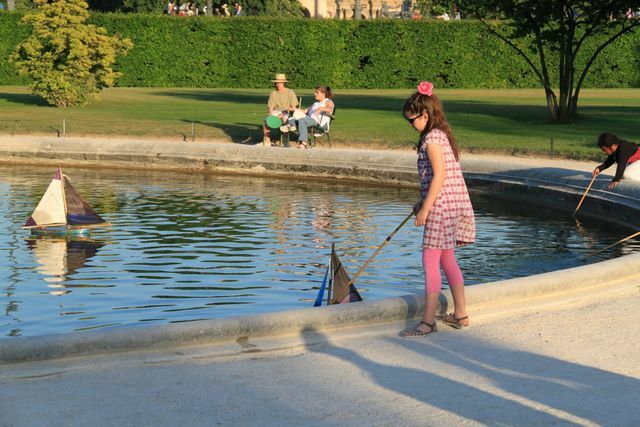 It also features several fountains, two large basins, numerous sculptures and two museums, the Galerie Nationale du Jeu de Paume and the Musée de l'Orangerie, which displays Claude Monet's large water lily paintings . Those two buildings are the only remains of the original Palais de Tuileries.